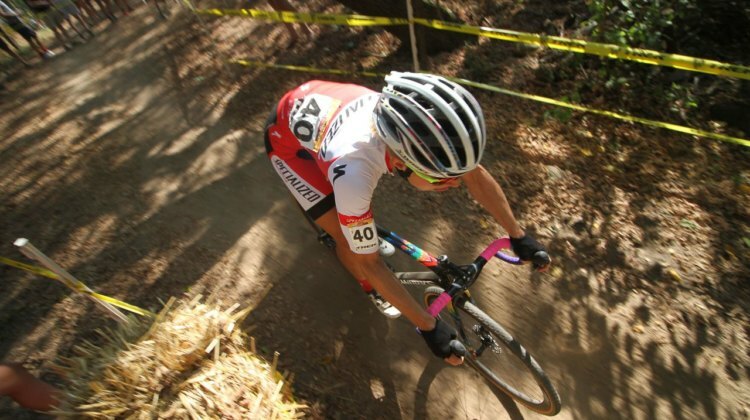 Kaitie Keough continued her climb up the Mt. 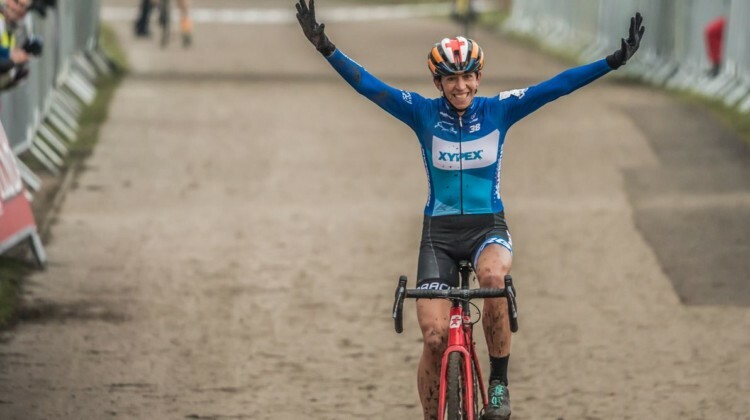 Krumpit classic, now claiming her first-ever World Cup win at the 2018 Jingle Cross. 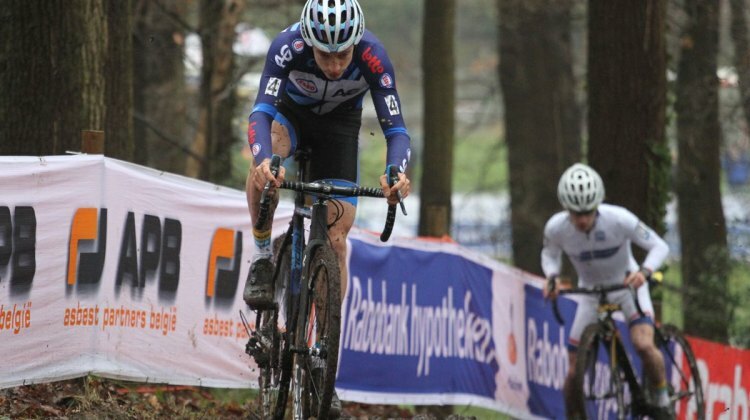 Report, results, photos. 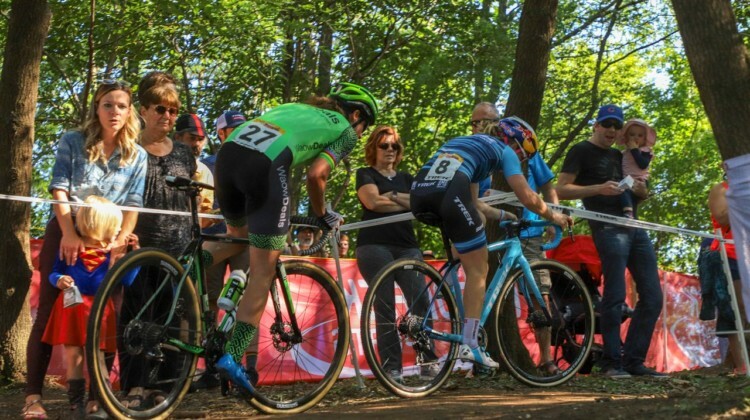 Kaitie Keough continued her climb up the Mt. Krumpit classic, taking her first-ever World Cup win at the 2018 Jingle Cross. 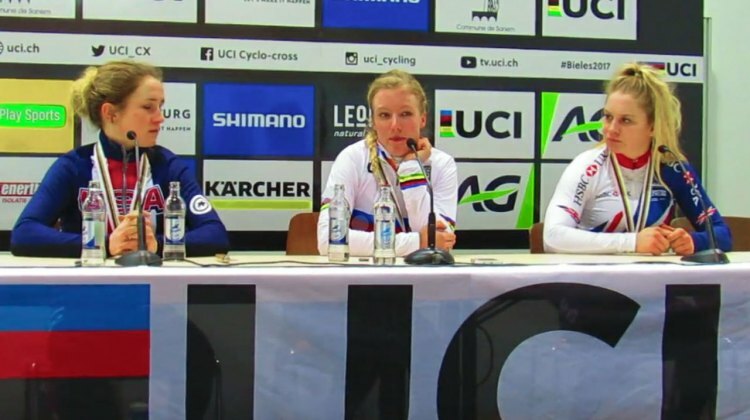 Full women’s results. 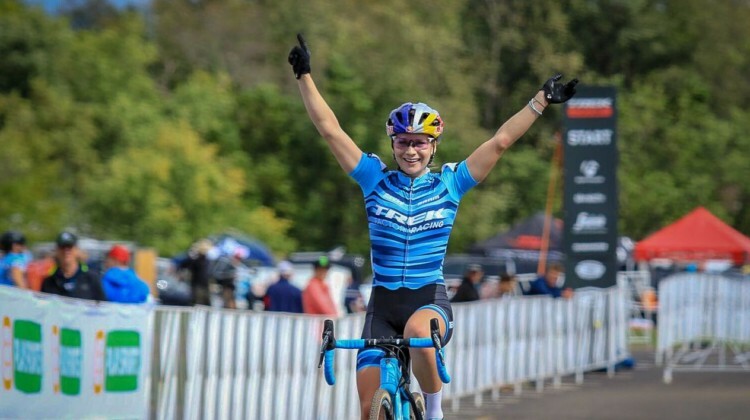 Evie Richards decided to go for it in Lap 4 and won the 2018 Trek CX Cup. 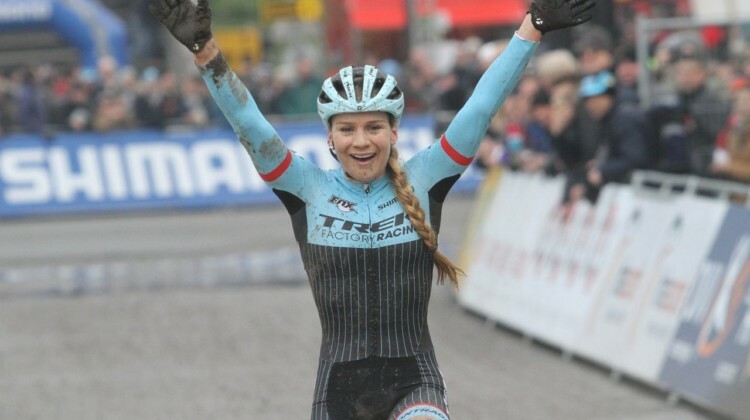 Ellen Noble took second. 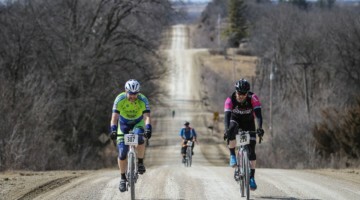 Get the story and photos from the C2 race in Waterloo. We’ve got a 3E podium on Day 1 of the 2018 Trek CX Cup, with Evie, Ellen and Ellen taking the top three spots. 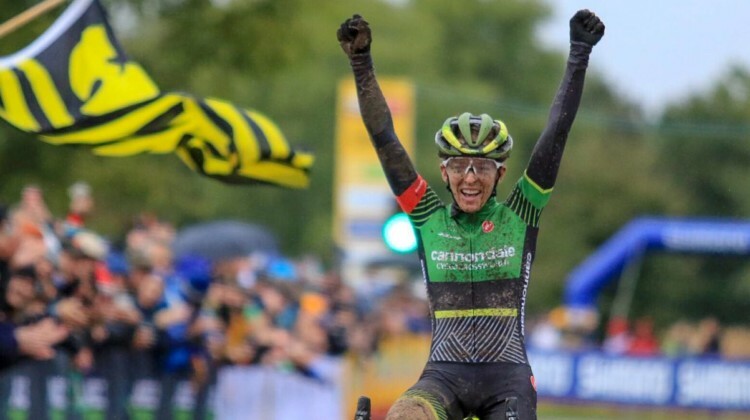 See how your fave rider fared. 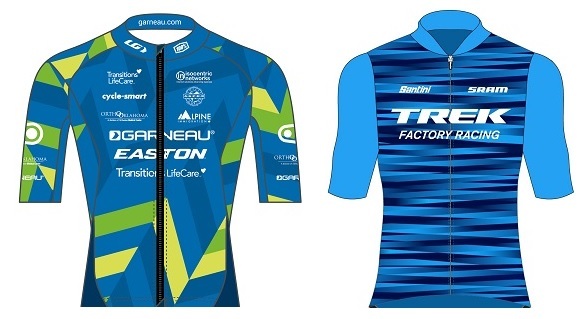 The Garneau-Easton p/b TLC and Trek Factory Racing cyclocross teams have expanded their rosters for the 2018/19 season with several talented young riders. 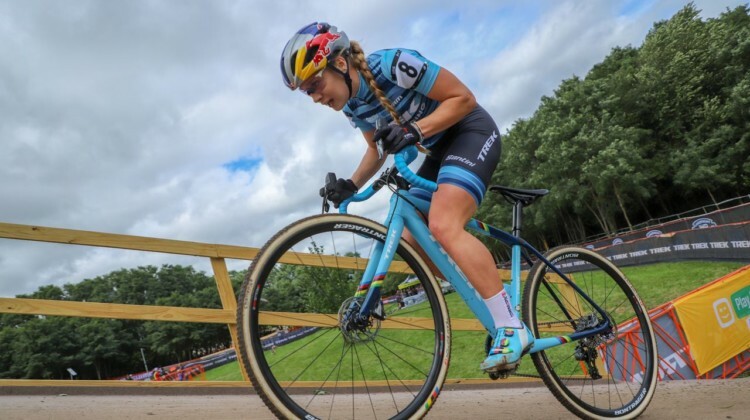 Cyclocrossers starred in the UCI XCO mountain bike races at the 2018 Sea Otter Classic. 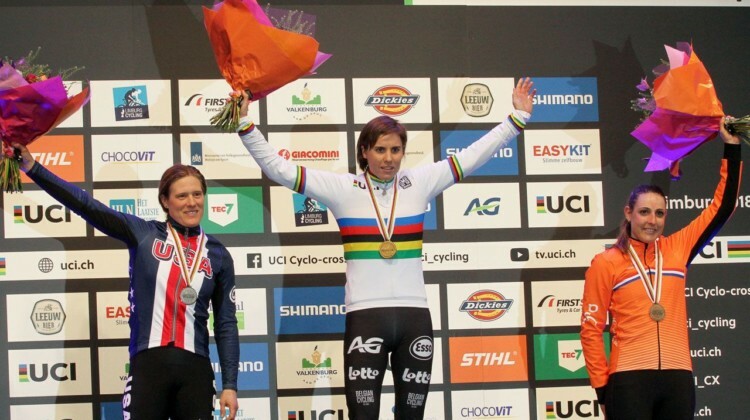 See how your favorite Women’s and Men’s riders did with results. 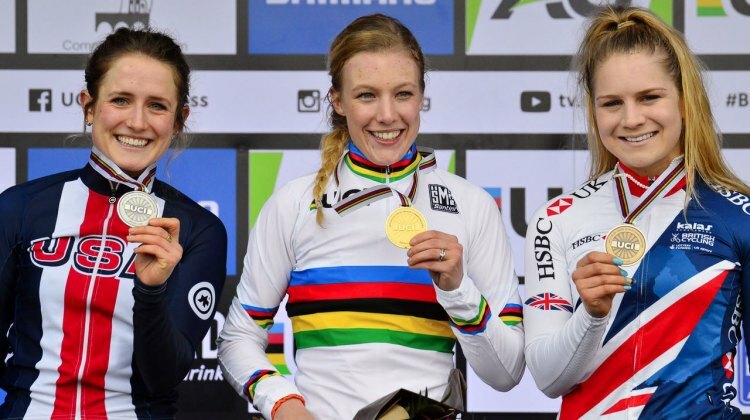 Cyclocrossers more than held their own at the 2018 UCI Mountain Bike World Cup in Stellenbosch, South Africa. 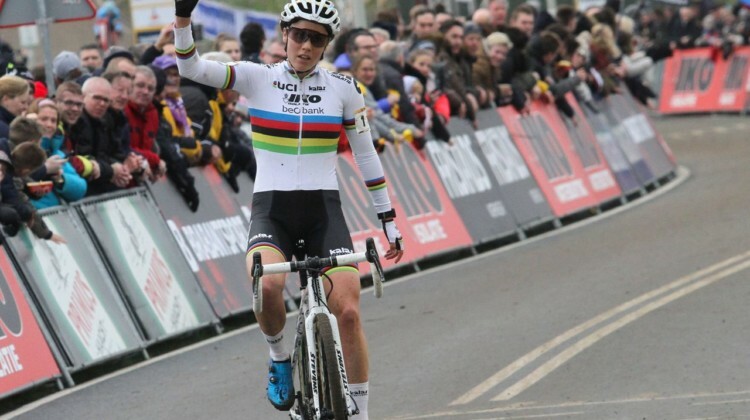 Find out how Mathieu van der Poel, Evie Richards and more fared in the MTB season opener. 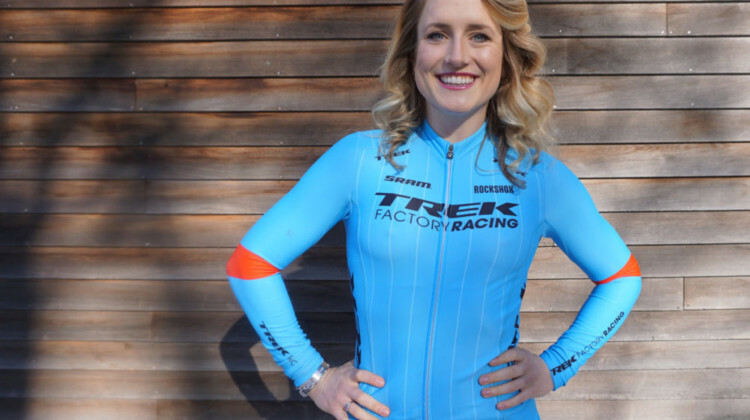 Ellen Noble has signed with the Trek Factory Racing team for the upcoming season. 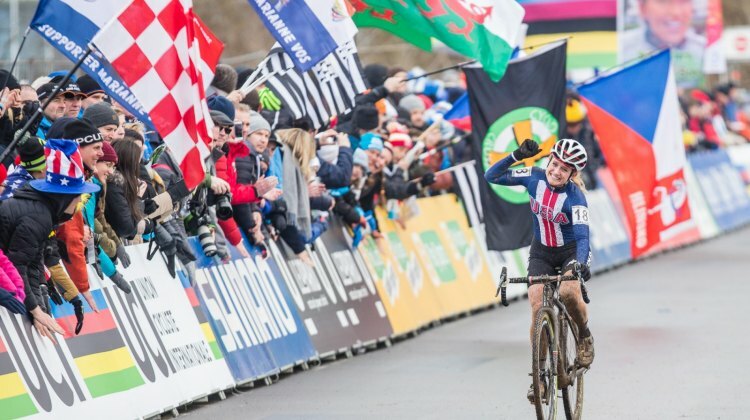 Noble will be racing a full cyclocross schedule and select mountain bike World Cups for her new team. 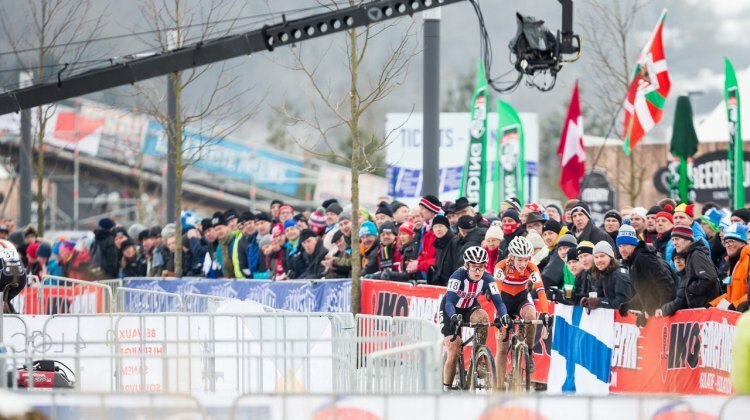 Sanne Cant, Katie Compton and Evie Richards had memorable days at the 2018 Cyclocross World Championships. 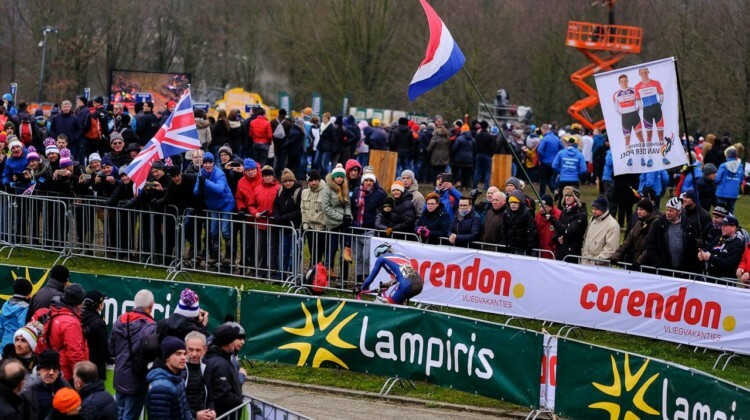 We spoke with each rider and got their thoughts on the muddy racing at Valkenburg-Limburg. 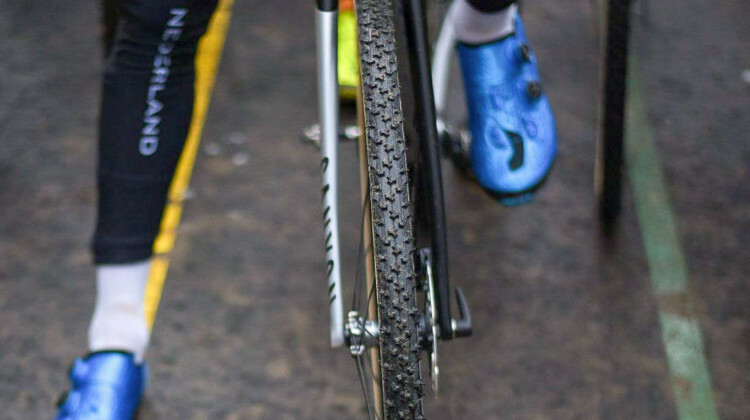 At the 2018 Cyclocross World Championships, unusual tire choices were once again a hot topic. 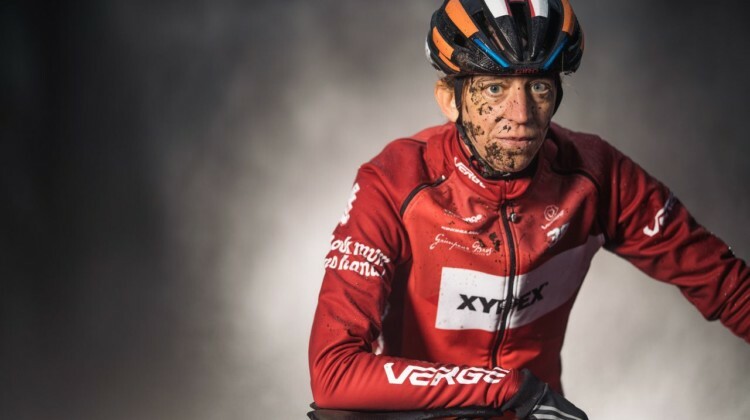 We brush off the mud & look at the stars’ and winners’ choices. 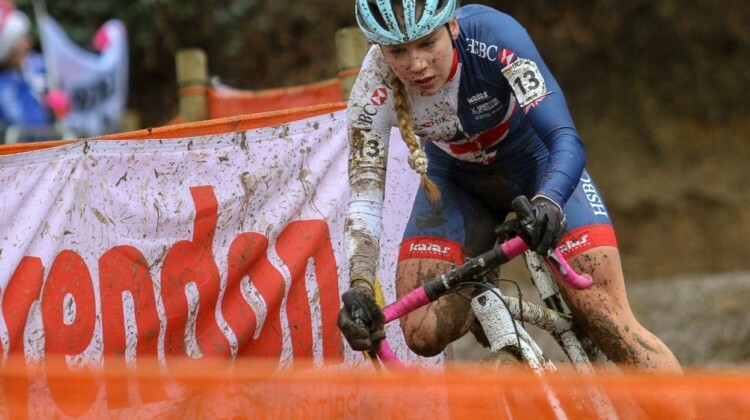 The 2018 British Cyclocross National Championships took place over the weekend. 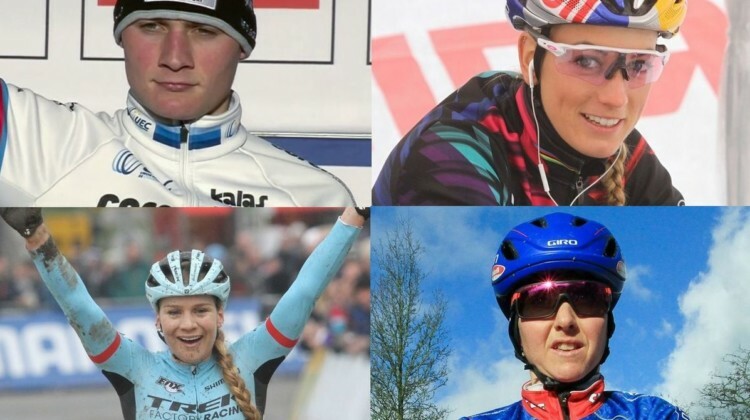 See full results to see who will be wearing the National Champions’ jerseys for the next year. 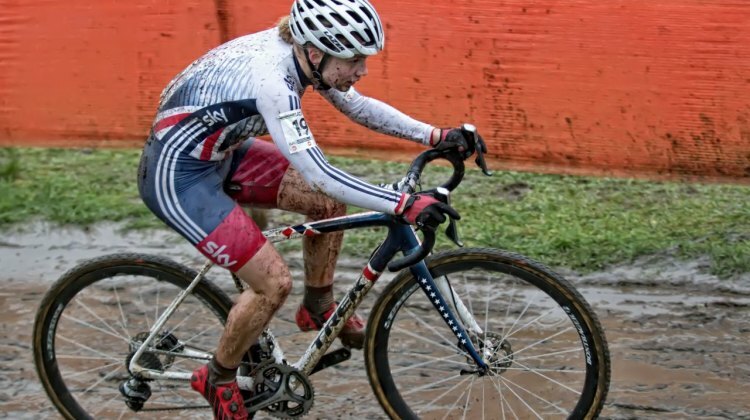 2017 has been a breakout year for a group of young British cyclocross stars. 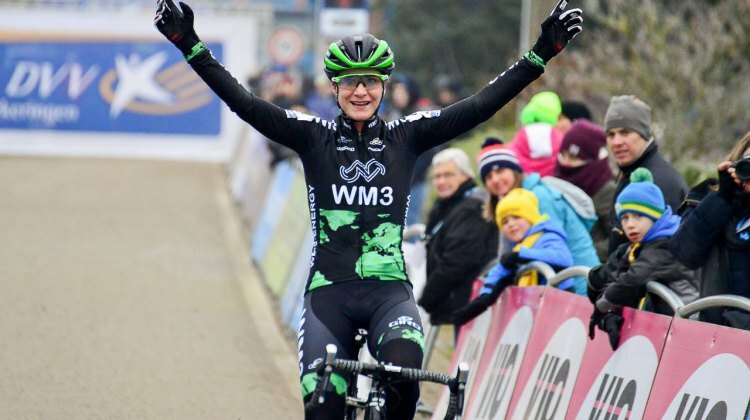 Tom Pidcock and Evie Richards lead an impressive group that is starring on the European mainland. 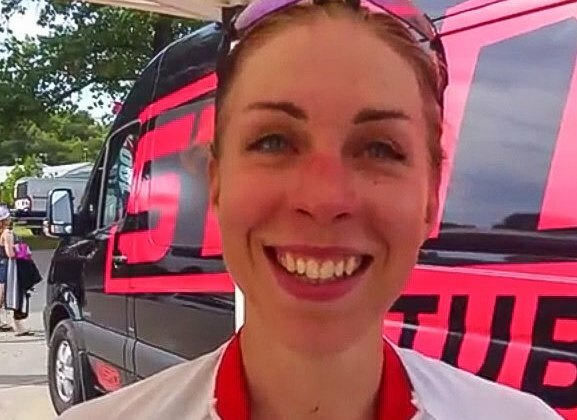 CX stars did their part to light the fireworks over the 4th. 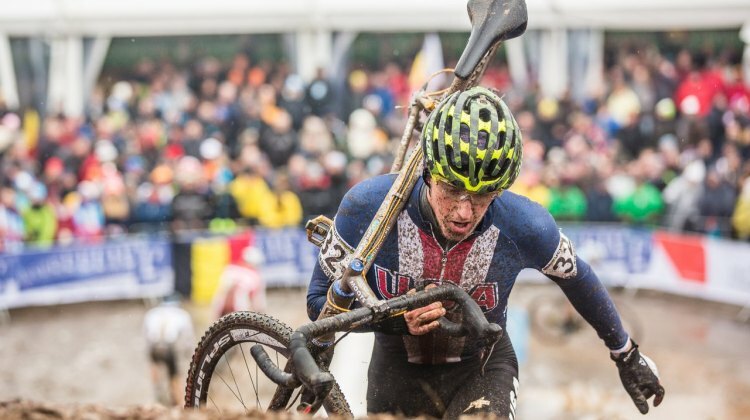 Gage Hecht took 2nd at U23 Nats and Emma White did as well. 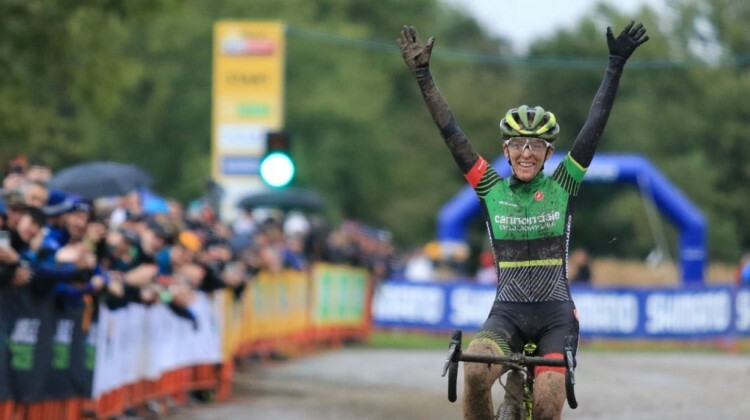 Katie Clouse and Denzel Stephenson starred for the Juniors in Louisville. 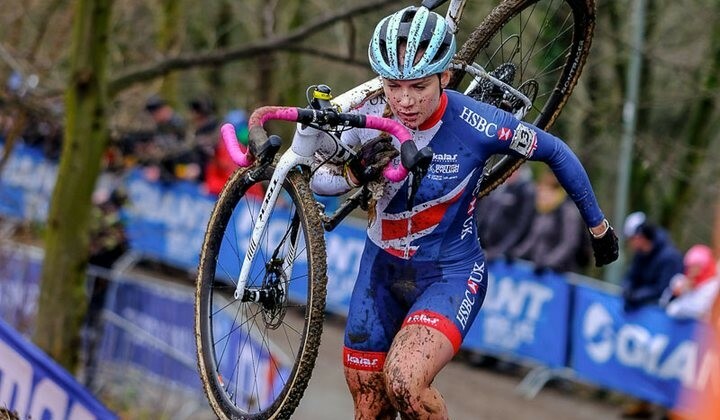 Cyclocross Magazine photographer Danny Zelck has some great images of the first ever U23 Women’s World Championship race won by British rider Evie Richards.